Arrive in Salt Lake City and transfer independently to your hotel where you will meet your ATI Tour Director in the evening. Salt Lake City is a beautiful vibrant city that offers unparalleled access to remarkable history and warm hospitality. If time permits, this afternoon enjoy views of the State Capitol building and visit downtown’s famed Temple Square, home to the 6-spired Salt Lake Temple and domed Tabernacle of the world-famous Mormon Tabernacle Choir. This evening we recommend dining at The Roof Restaurant (optional). The Roof offers an extravagant buffet and inspiring views of the Salt Lake Valley and Temple Square. Heading south this morning you’ll pass through Provo, home to Brigham Young University, en route to one of Utah’s Mighty 5, Arches National Park. Once in the park you’ll discover a landscape of contrasting colors, landform and textures unlike any other in the world. With over 2,000 natural stone arches, in addition to hundreds of soaring pinnacles and giant balanced rocks, this red rock wonderland will amaze you with its formations and inspire you with its most unique scenery. 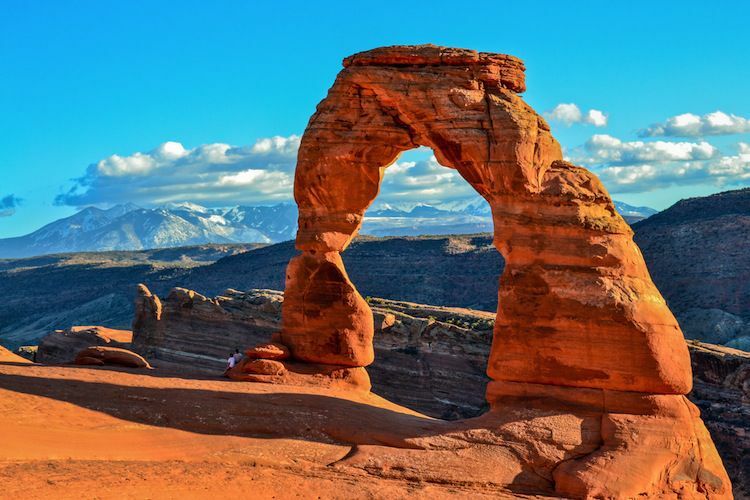 Just outside of Arches, Moab’s unique combination of small town hospitality and beautiful scenery has made it one of the most sought after destinations in the Southwest. Today, visit Canyonlands National Park, a wilderness of countless canyons and fantastically formed buttes carved by the Colorado River and its tributaries. Rivers divide the park into four districts: the Island in the Sky, the Needles, the Maze, and the rivers themselves. These areas share a primitive desert atmosphere, but each offers different opportunities for sightseeing and adventure. Visit some of the most scenic spots in the Island in the Sky mesa that rests on sheer sandstone cliffs over 1,000 feet above the surrounding terrain. Return to Moab in the late afternoon. 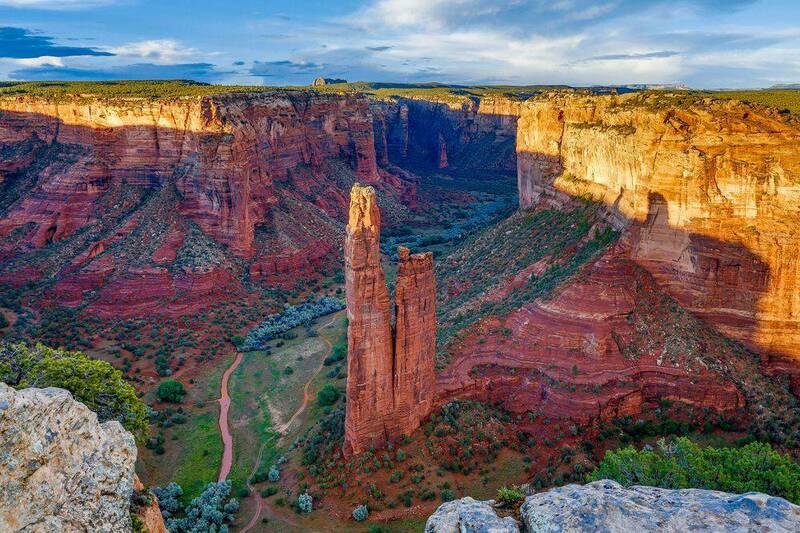 Crossing into Arizona where traces of a rich history, miles of cacti in every size, shape and style, and natural wonders mark the awesome terrain, you’ll make your way to Chinle, gateway to Canyon de Chelly National Monument. 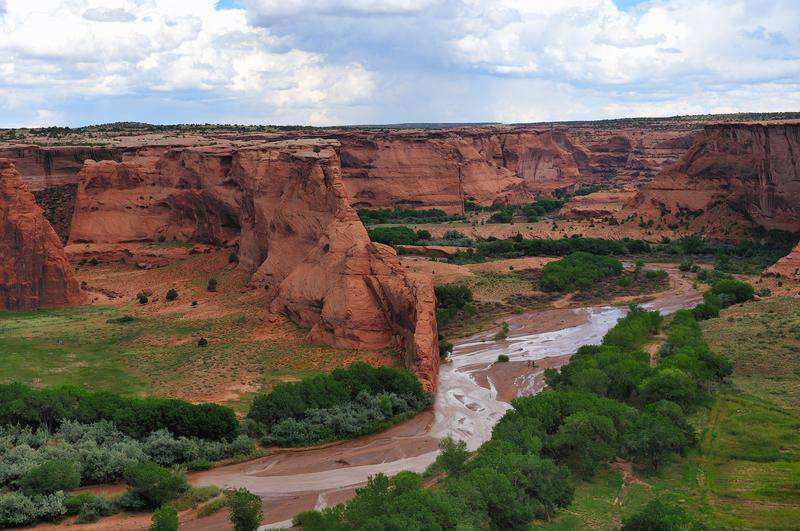 Located entirely on Navajo tribal lands and known for its steep canyon walls dotted with hundreds of ancient pueblo ruins, Canyon de Chelly reflects one of the longest continuously inhabited landscapes in North America. Here, distinctive architecture, artifacts and picturesque vistas of rocky outcroppings are all remarkably preserved, providing a peek into the lives of the canyon’s earliest inhabitants. Leaving Chinle, today’s journey takes you through the Navajo Reservation and dramatic lands of western New Mexico to Gallup. Having barely changed since Route 66’s heyday, Gallup serves up a slice of Americana rarely seen nowadays along with one of the best strips of neon signs you’ll see anywhere on the old route. Continue to the heart of New Mexico, Albuquerque. 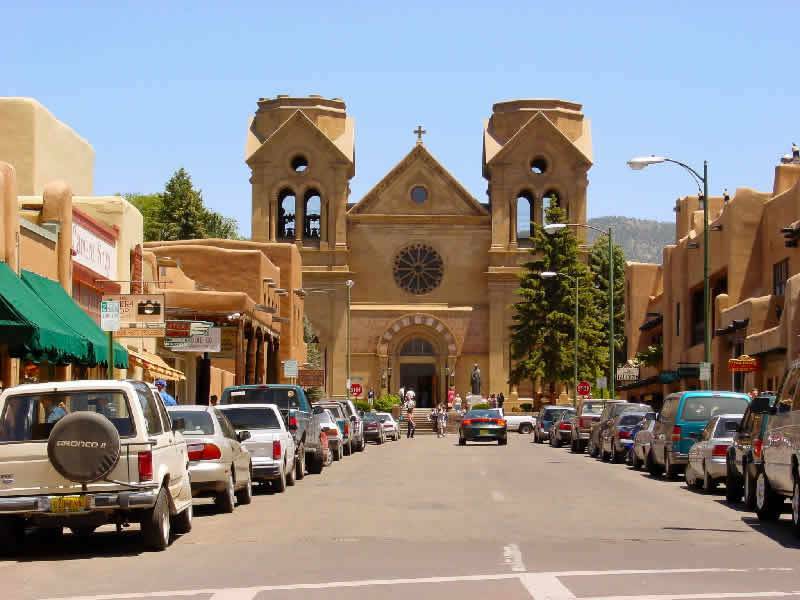 A visit to historic Old Town offers a unique look into New Mexico’s Spanish past. Stroll the Plaza, dine at one of the many restaurants, shop for unique gifts from the Southwest in one of the stores or galleries, or simply relax on a quiet hidden patio. Traveling from Santa Fe to Taos you’ll follow alongside the Rio Grande as it winds its way through a narrow canyon and red-rock cliffs before rising to a spectacular view of the river gorge and rich landscape of Taos valley. In Taos, visit the only living Native American community designated both a World Heritage Site by UNESCO and a National Historic Landmark, Taos Pueblo, whose multi-story adobe buildings have been continuously inhabited for over a 1,000 years. Heading north from Taos into Colorado, you’ll discover the scenic beauty and favorable climate that has lured visitors to Colorado Springs for years. 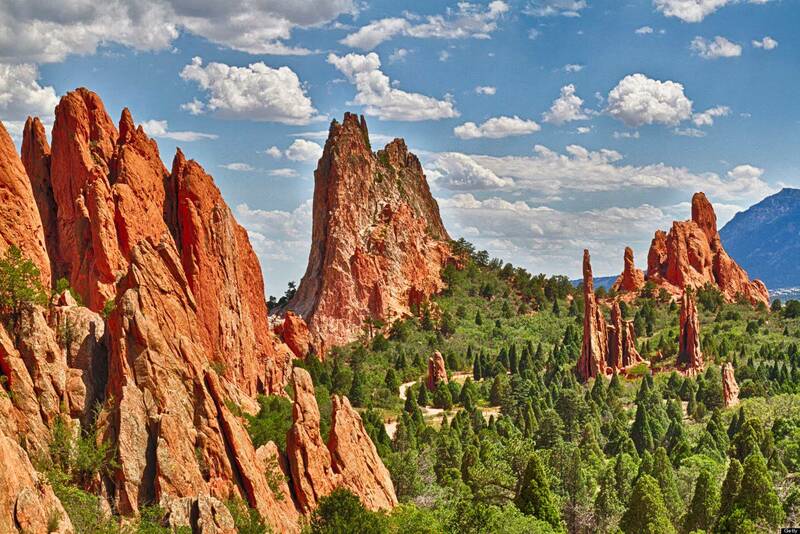 Stop at Garden of the Gods where you’ll delight in one of the most photographed landscapes in the state. Imagine dramatic views of the foothills and 300-foot towering red sandstone rock formations set against a backdrop of snow-capped Pikes Peak and brilliant blue skies. 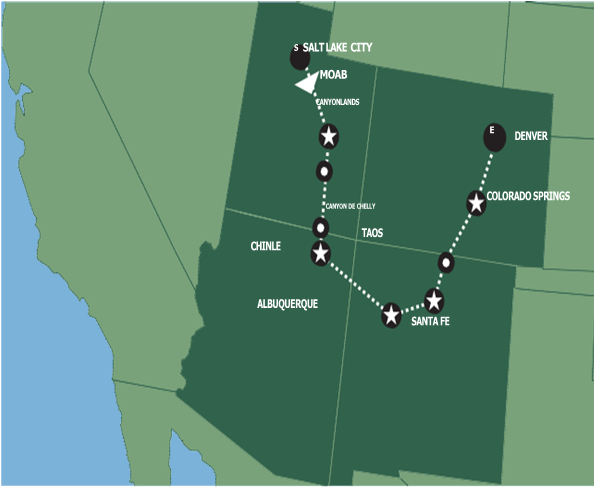 This morning, it’s on to Denver where you’ll have ample free time to explore some of the city’s must-sees, including the U.S. Mint, 16th Street Pedestrian Mall, Larimer Square, City Park, Denver’s largest park offering stunning mountain views, and much more. Your tour ends upon arrival at Denver International Airport.